For March's Game Developers Conference 2014, we're announcing another one of our most exciting classic game postmortems yet. 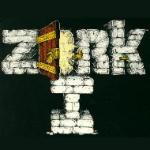 Dave Lebling, an industry veteran who co-founded Infocom, will be giving a postmortem talk on the classic text adventure Zork at GDC 2014. Lebling, who currently works as a Senior Principal Engineer at BAE Systems, created the "grue" and co-authored Zork I-III, as well as several other classic text adventures. He plans to give an hour-long talk explaining, among other things, the creation of both the mainframe and microcomputer versions of Zork, the trials and tribulations of coding a cutting-edge text parser, and what it was like to experiment with self-publishing at a time when most PC games were sold in hand-packed plastic bags. This is an hour-long session - we'll have more scheduling details about the talk as we get closer to GDC, but we figure a lot of you would appreciate the heads-up so you can keep this postmortem on your radar! GDC is in its 28th year, and is the world's largest and longest-running professionals-only game industry event, and will once again take place at the Moscone Convention Center in San Francisco, California during March 17-21, 2014. You can register for the event by visiting the info page on the official GDC 2014 website. Early Bird pricing, with discounts up to 30 percent, will remain in effect until January 31st, and some passes including the Indie Games Summit pass have limited amounts, so interested parties should register now. GDC 2014's Main Conference, held on Wednesday-Friday, will contain seven Tracks: Advocacy, Audio, Design, Production, Programming, Visual Arts, and Business, Marketing & Management. We have lots more planned for GDC 2014, including our Independent Games Festival (with over 1,000 entries across student and main competitions) and of course plenty more sessions to be announced. So make sure to mark your calendars now and start planning: GDC 2014 is March 17-21, 2014 at the Moscone Convention Center in San Francisco, California. More information about Game Developers Conference 2014 is available via its official website.